The Goldador or the Golden Lab is a mixed breed or designer dog obtained by crossing two of America’s most popular dog breeds: the Labrador and the Golden Retriever. The resulting puppies are not only beautiful to look at – they are also known for their excellent temperament and easy trainability. 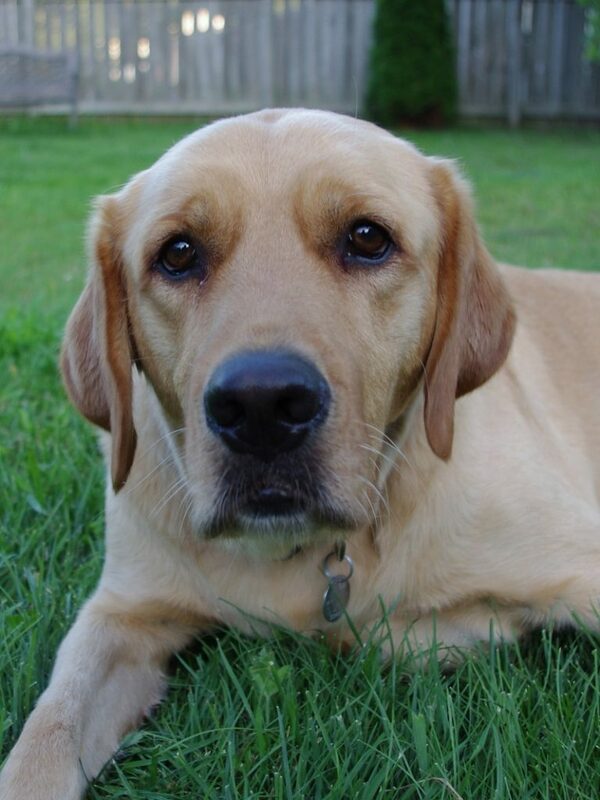 Goldadors are smart, social and make efficient guide dogs and therapy dogs. So let us study some facts, training tips and common health issues in the Goldador. The Goldador puppy was first introduced nearly a decade ago to meet the rising demand for designer puppies. These dogs were an immediate success as they carried the best characteristics and traits of both its lovable parents. Adult goldadors are used extensively today as search and rescue dogs, guide dogs, therapy dogs, in police work and as drug or bomb sniffing dogs. Goldadors are also popular household companion pets in many American families. Goldador Size – Average height and weight is 22-25 inches and 60-80 lbs. They come under the category of large dog breeds. Goldador puppies are available on sale in various colors including golden, black, red to yellow etc. Adoption is the best and many rescue shelters can have these dogs. Goldadors do well with an active owner who has had some experience with dogs before. S/he should be willing to participate actively in exercising and training this intelligent and social animal. Select a reputed breeder. He/she should be an ethical breeder who has genuine concern for his animals. Ask to see health records of the pup’s parents. The breeder should ideally have a long waiting list for his pups-be prepared to wait a bit if you really want a healthy Goldador. Be wary of breeders who have pups available at a moment’s notice. Never pay a deposit on the puppy – good breeders will never ask for money upfront. The breeder should also be willing to take back the puppy if there is a health issue or if you are unable to keep the pet for some reason. Ideally, the breeder should also ask you several questions to ensure you are a worthy owner for a Goldador pup. This is a loving, social and intelligent dog. It has all the sweet characteristics of a Golden Retriever and Labrador retriever and like both breeds, it is very smart and intelligent. You will find that your puppy is easy to train but also has a mind of its own. Naturally, you need to be gentle but firm with him from day one. Training should ideally begin the moment your pet crosses the threshold of your house. Show him who the boss is or else he/she will have you wrapped around its paw within no time. 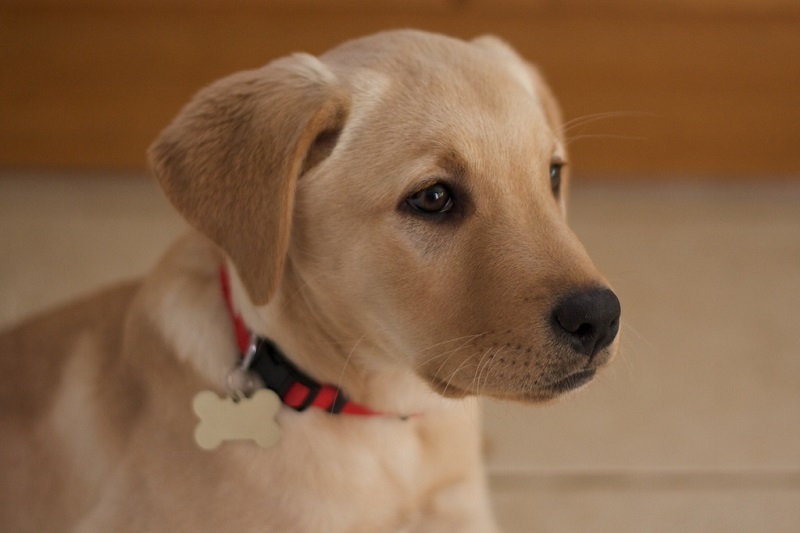 Golden labs are excellent with other pets including cats and they love children. 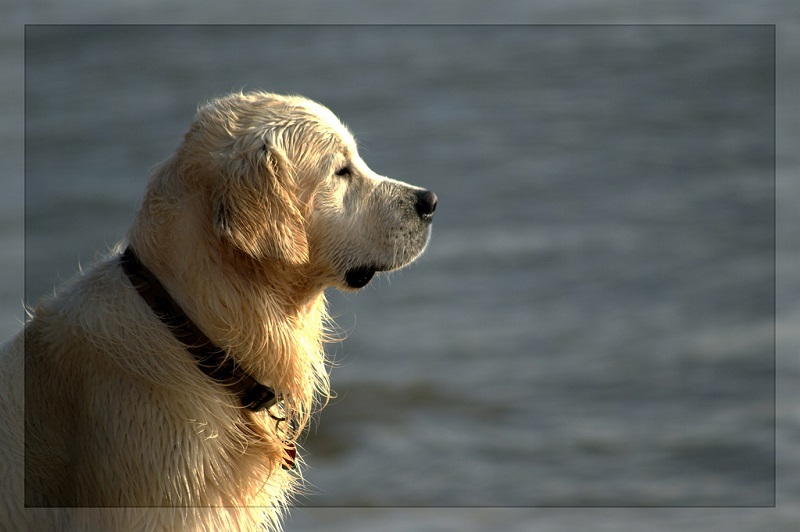 You can seek dog obedience classes near you and even read books on training Labradors and Golden retrievers. 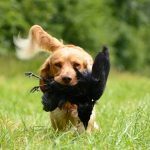 Follow a plan for house training your dog. 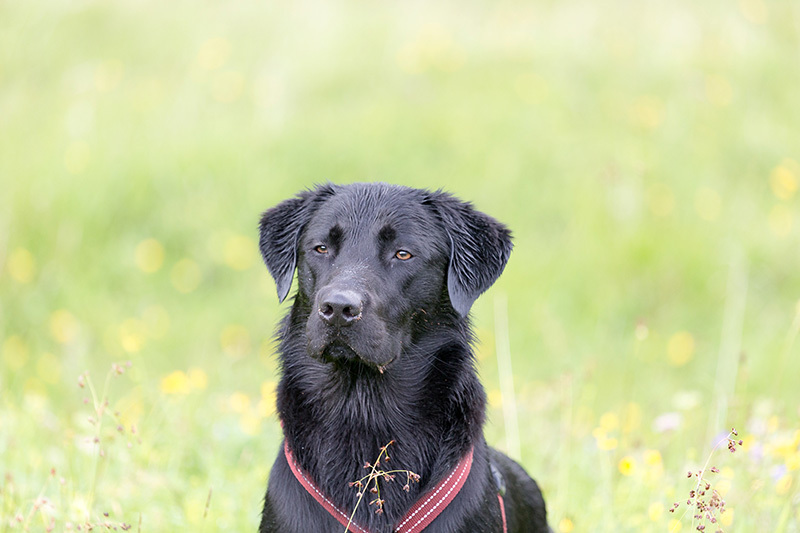 If possible, learn about the good and bad habits mixed breed dogs tend to have. Training should always be positive and reward/praise oriented. Your Goldador will learn quickly if you keep training consistent. Set aside a dedicated time to train, preferably when your pet is not hungry or sleepy. Keep sessions short and always end each session with playtime and praise. You can also teach your dog some fun tricks like ‘roll’, ‘shake’, ‘play dead’ etc. There is considerable difference in training a puppy and training Goldador adults; always start training when your pet is about 8-10 weeks old. Leash training, crate training and early socialization will help you groom your pet into a fun, loving companion you desire. Like the Labrador retriever your Goldador will love to eat. So you need to take care that he does not gain excess weight. This pet needs at least 30-45 minutes of scheduled activity including walking, running, swimming or playing a game of fetch. Your puppy will love the time you spend with him/her during these scheduled walks. Goldador adults also need moderate exercise depending on their health, age etc. Senior dogs could develop joint issues, so it is imperative to choose other exercises like swimming which are gentler on the bones. You must also reduce the calorie intake of older dogs and ensure that they get all the nutrition without the excess calories. Goldadors shed moderately and like their parents-Labs and Goldens-they have a double coat. So prepare yourself for daily or at least bi-weekly brushing to keep its coat shiny and healthy. Also bathe your pet once a month to keep ticks, fleas and other parasites at bay. There are some health issues Goldadors are susceptible to including hip/elbow dysplasia, eye problems, diabetes, skin problems, and hypothyroidism and so on. Each mixed breed Golden Lab is an individual. In order to completely know your dog, you must study as much as you can about its genetic attributes. That is why it is so important to find a good breeder who will only breed healthy dogs. The average life span of a Goldador is 12-15 years. Regular exercise, good food and loads of love will keep your pet happy and healthy for years to come. Feed premium dog food-wet or dry- to your pet. Your breeder or vet can direct you. Home cooked meals and treats are great but do ensure that the meals are balanced. Senior dogs need fewer calories without compromise in nutrition. Goldadors, as stated above, are susceptible to weight gain. So speak to a vet about the right maintenance diet as per your pet’s health and age. 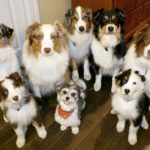 Choosing Between A Puppy Or An Adult Dog – Which One Is Right For You? 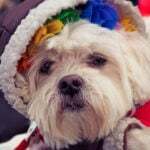 Pros and Cons of Dressing Up Your Dog – Should You Do It?